The Upstream sector is used to refer to the search for, followed by the recovery and production of, crude oil and natural gas. This sector is also widely known as the exploration and production (E&P) sector. Stages within the upstream petroleum-product industry include the search for underground or underwater oil and gas fields, the drilling of exploratory wells and, if the wells are deemed economically viable and recoverable, the operation of wells that bring crude oil and raw natural gas to the well’s surface. Exploration involves the search for rock formations associated with oil or natural gas deposits, and involves geophysical prospecting and/or exploratory drilling. Production is the process of extracting the hydrocarbons and separating the mixture of liquid hydrocarbons, gas, water, and solids, removing the constituents that are non-saleable, and selling the liquid hydrocarbons and gas. Production sites often handle crude oil from more than one well. Oil is nearly always processed at a refinery; natural gas may be processed to remove impurities either in the field or at a natural gas processing plant. Abandonment involves plugging the well(s) and restoring the site when a recently-drilled well lacks the potential to produce economic quantities of oil or gas, or when a production well is no longer economically viable. Within the above 4 stages of E&P outlined above Oil & Gas Operators Contract with a wide range of suppliers covering hundreds of different category or service lines needed during the lifecycle. 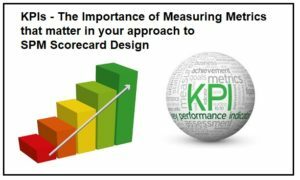 Outperform Subject Matter Experts, Advisers and Consultants are experienced in designing and implementing Supplier Scorecards and Key Performance Indicator (KPIs) in over 100 Upstream specific product, category and service lines. A sample of the business lines that we have previously developed scorecards and KPIs for are listed below. For a Free 20 minute (no obligation) discussion call click here to email us and we will contact you to arrange a suitable date and time for a brief tele call.